Good Bye February. You promised to be short and sweet and you were. Crazy too. But I am not complaining. I like this kind of a crazy. Infact crazy is my new normal. Before I say hi to March tomorrow morning a look back at the February monthly challenges. If you are new here: At the beginning of each month the challenges are announced. These challenges are for inspiring the entire Food Revolution team and to make deeper connections with everyone (fellow food ambassadors, friends and family, anyone who wants to be a part of this challenge too), share our stories , whether we failed or conquered and more. The idea is to complete as many challenges as one can (Read about the October , November , December and January challenges). Challenge 1: Cook for loved ones this Valentine’s day. Do you have a special recipe you cook for your loved ones? Whether it’s your kids, partner or a close friend, we want to see what dishes you make to win the hearts of your nearest and dearest. Find some sweet inspiration here. One doesn't really need a reason or a day to celebrate love. It needs to celebrated, acknowledged and respected each day of the year. But when the year gives you the 14th of February to tell those special people in your life that you love them , you should. For very often we love them but we don't tell them and sometimes it gets too late. Someone very wise (Read:Pooh) when asked, How do you spell LOVE? answered "You don't spell it, you FEEL it", he said. What is your LOVE LANGUAGE? Mine undoubtedly is FOOD. Nothing says I LOVE YOU louder than a rose kulfi and that is what I made for my loved ones this Valentines and hey rose does represent love. Challenge 2: Embrace wonky veg! Jamie has been on a mission to cut food waste and get wonky veg back into our shopping basket. This month, we want you to embrace all leftover, wonky veg out there and try to reduce your food waste. Find out more here. A weird looking squash, a deformed potato, crooked carrots...you get the idea. Did you know that as much 20-40% of produce gets wasted because it doesn't look perfect. Hard to believe but true. Such a huge waste of fresh produce just because they don't look the way we have been used to seeing them in the supermarkets. Round, glossy, clean, perfect lines. But who is to decide what is perfect? As far as I remember WE WERE BORN TO BE REAL AND NOT PERFECT. A quote that holds true for both people and produce. I came across this wonky sweet potato at the local organic store. Sad and forgotten because no one was picking it up. 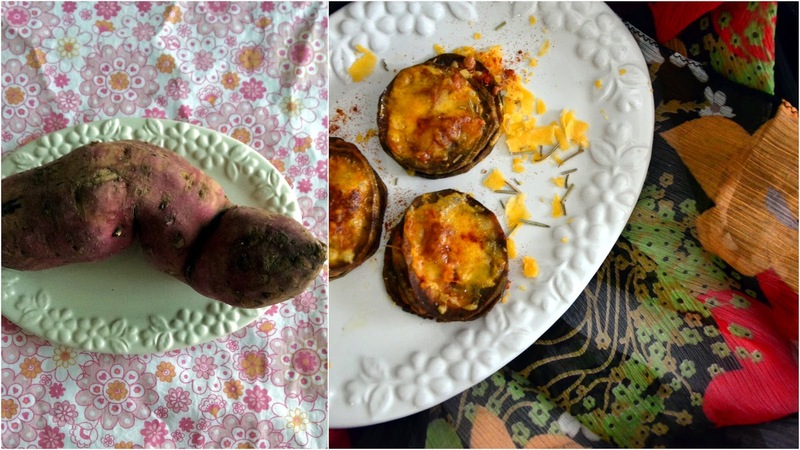 I decided to give it a home and it was unlike most sweet potatoes I had worked with before. A gorgeous purple from the outside with "curves" and black and sticky from inside. After I baked it with some olive oil, rosemary and some grated cheese it tasted like a cross between a sweet potato and banana chips. A texture we loved. So let the new mantra be I AM NOT WEIRD I AM LIMITED ADDITION. Lets pledge to pick up that "imperfect" vegetable/ fruit and give it a "perfect" recipe ; one that promises to make our taste buds sing. Challenge 3: Start planning your FRD! If you haven’t already, now is the time to start thinking about what you’ll get up to on Food Rev day. Sign up for the day and get your friends and followers to do the same at www.foodrevolutionday.com. Maybe you’re hosting a potluck dinner with your friends? Or perhaps you’re going into your local school to get cooking with kids. Whatever you’re planning, we want to know how you’ll be getting involved on the day! With the big day just a little more than two months away I am really excited. The month was spent thinking, planning, making contacts with people who "care" about what goes into the bodies of our little ones and want to give children the life skill called cooking. 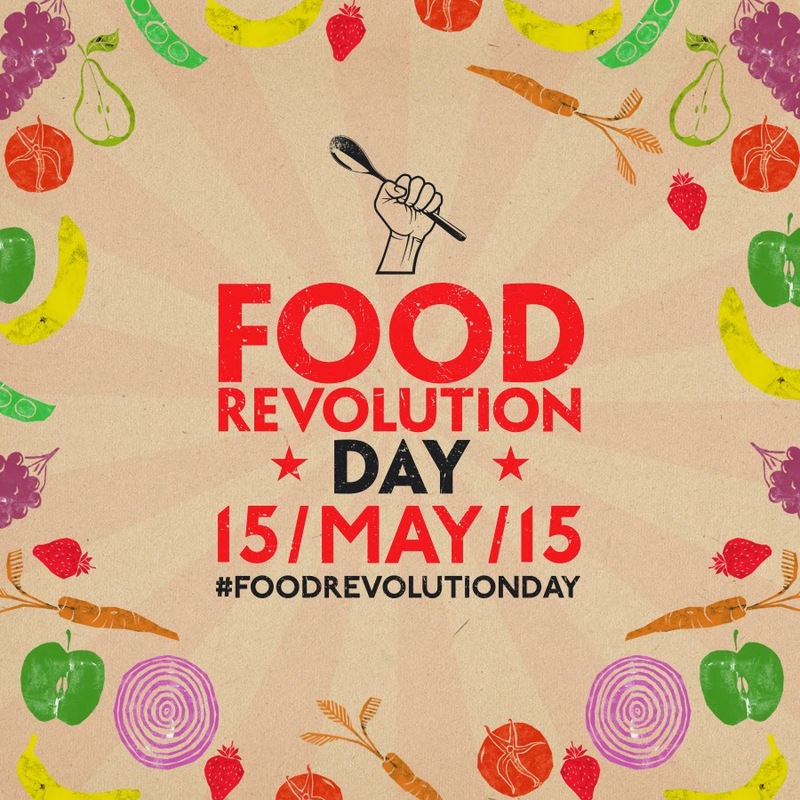 So since there are so many wonderful people and opportunities out there instead of a Food Revolution Day it is going to be a Food Revolution Week. We are planning to celebrate food education through the entire week and the plans are just about taking shape. We already have a school on board who have shown great enthusiasm for bringing about a Food Revolution amongst their little ones (They even have a cooking club!). We are going to sit down March end and make this happen together. More children will join us in making the Squash it sandwich at Galeries Lafayette’s Gourmet wing. The Culinary Director there strongly believes in cooking from scratch and is as excited as us about the Food Revolution Day. Also on the big day will be an event for Jamie’s Juniors; where else but at Jamie’s Italian! The team at Jamie’s and I are looking forward to be working on it together. Hopefully before the the end of the next month you will hear about more collaborations and I will have more specifics to share. 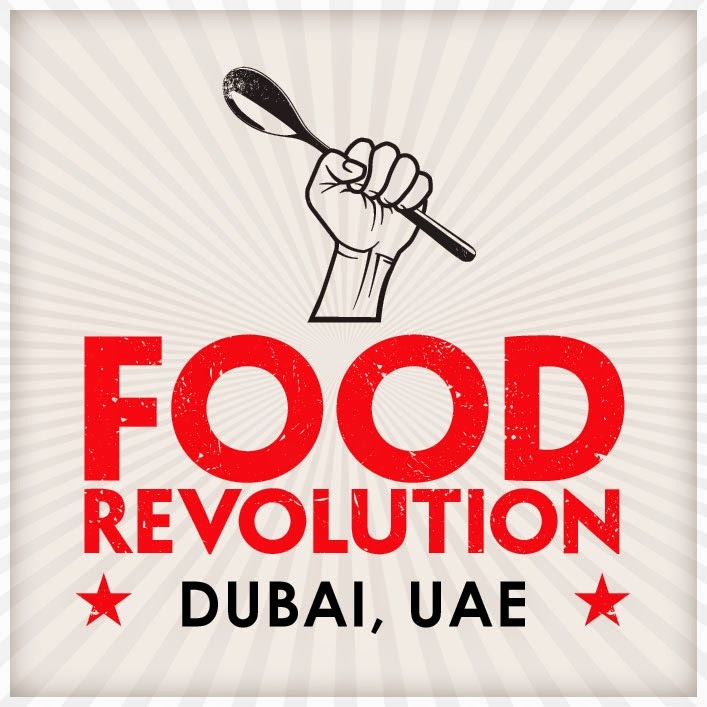 To food revolution and to putting our heads and hearts into this, together. EXTRA CHALLENGE We want to follow you! If you have a Facebook, Twitter, Instagram or Pinterest account that we don’t know about, let us know so we can see all your amazing work and share it with others! Get ready to welcome the third month of the year. Happy March everyone! 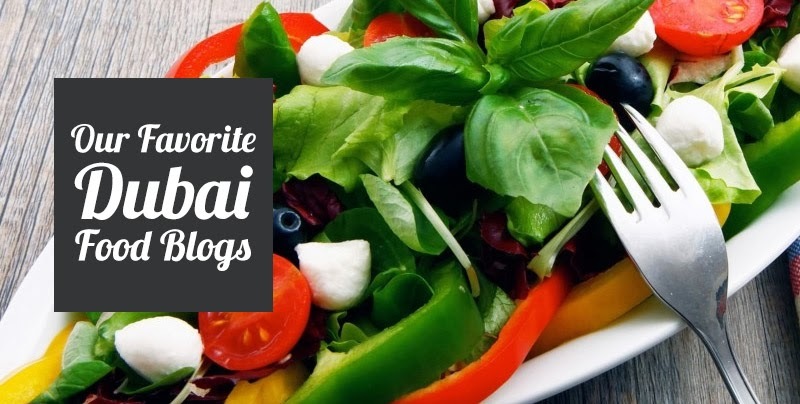 Nice initiative...good to discover your blog! Will surely love to associate for such a nice cause.